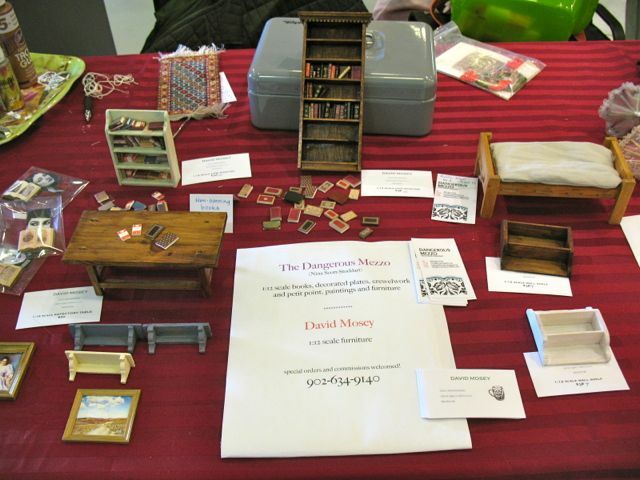 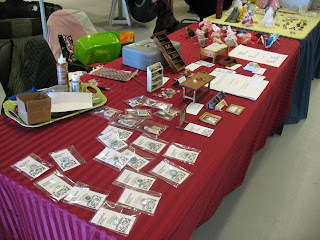 Paula and I had a great time at the Shearwater Hobby Show last weekend, manning the MESS table and selling our wares! (Above you can see some of Paula's beautiful working parasols and feather fans). 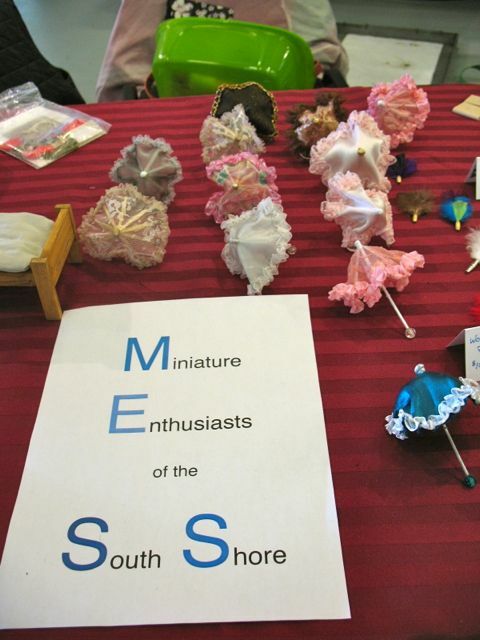 We had great fun meeting so many people in the Maritime miniature scene, including folks from Camp Mini Ha Ha and the lively group in Dartmouth!